Dr. Rakefet Benderly earned her bachelors degree from the University of Hawaii and her combined masters and doctoral degrees from the California School of Professional Psychology in San Diego. 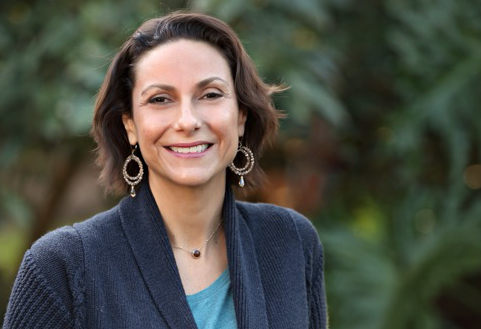 During her educational years, she gained extensive training and experience working in San Diego community mental health clinics and in 1997, she established her private practice in Carlsbad. She is fluent in English and Hebrew. Her training and expertise focuses on psychodynamic psychotherapy. She mainly specializes in the treatment of depression, anxiety, relationships and grief. She helps clients develop their personal growth, gain understanding of their emotional “blind-spots,” and improve their personal relationships. “Unfortunately, loss is inevitable and it can often leave us feeling isolated, vulnerable and alone. Not only do we need to cope with processing a wide range of emotions, but we are also compelled to manage changes in our lives that result from the loss,” she said. There is no correct way to grieve. We all have various temperaments, individual life experiences, and diverse personal relationships- therefore; we are all going to have distinctive reactions to loss. 2. Be kind to yourself. You will likely experience a wide range of emotions – depression, anxiety, exhaustion and loneliness are common. Some people may also experience denial, anger and frustration. Whatever emotions you experience, do not be critical of yourself. We all grieve on our own time. I often receive calls from people who say six months or a year have passed and they are still grieving. There is no standard amount of time that we all grieve. It is an individual process. Grief is Love. By spending time contemplating and mourning a loved one, you maintain a personal, private connection with that person. Find a support system. It is important to give yourself thoughtful, contemplative time while also remaining connected to a solid support system. This is the time to reach out to friends, family and community. “After being a psychologist for 20 years, I have learned that life is dynamic. Circumstances change and people are resilient. Be open to challenging some of your perceptions and behaviors and looking at your life through a different lens. For more information, visit rakefetbenderly.com or call (760) 930-0886. L’CHAIM readers can get a free 20-minute consultation.